In 1999, Greg and Barbara Hill bought a small ranch from the Pinoli family close to Goldeneye, Roederer Estate and Husch. They rebuilt one of the valley's oldest farmhouses and planted a small vineyard to Pinot Noir Dijon clones 114, 115 and 777 and a small amount of Pommard. Deny Dudzik is both the vineyard manager and winemaker. He was co-winemaker at Handley Vineyards for 10 years. He works closely with Ardzooni Vineyard Management. Phil Baxter Jr. of Baxter Winery provides custom crush and bottling services, as well as consulting with Deny on winemaking. 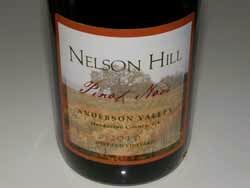 Pinot Noir is typically aged 11 to 12 months in 30% to 50% new French oak barrels. Nelson Hill Deep End Vineyard is located just west of Hwy 128 in Philo. 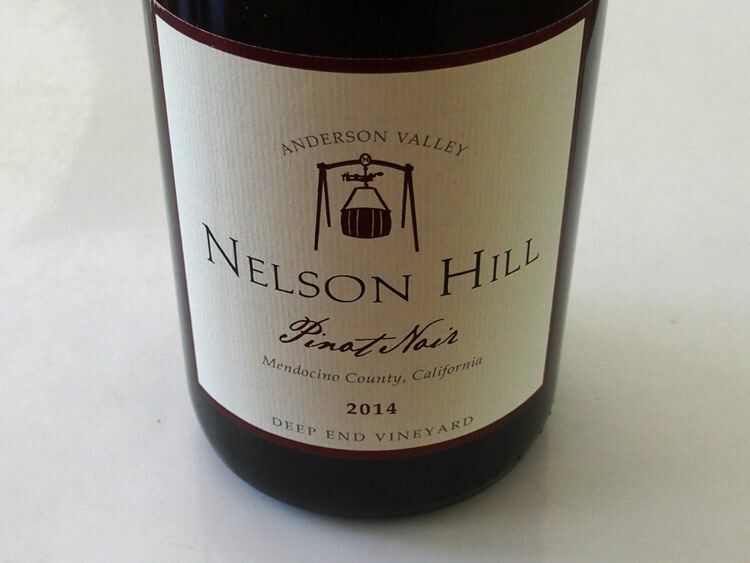 Anderson Valley Pinot Noir has been offered from the estate Deep End Vineyard since 2007.